R&B star Will.i.am has confirmed that he will be co-producing U2’s next full-length release. The Black Eyed Peas singer is set to work on tracks for the Irish band, who will also be using the talents of Gnarls Barkley genius Danger Mouse. Speaking about the role, Will.i.am told a British newspaper: "You talk about one day looking back at milestones in your career - working with those guys will be light-year stones. I look at U2 and think, 'Wow, I hope our group can stay together that long and still make brilliant music." He added: "I went to Bono's house for lunch and George Clooney and Cindy Crawford were there. I played some of the songs we'd been working on together and everyone was blown away. They all left the finger food to come and hear." Will.i.am is hardly an amateur when it comes to producing. The rapper has production credits with an extensive list of major artists, including the likes of Cheryl Cole, Usher, John Legend, Nas and Justin Timberlake. It is also not the first time that Will.i.am has collaborated with U2: the rapper produced a track for their 2009 album, ‘No Line On The Horizon’, entitled ‘I'll Go Crazy If I Don't Go Crazy Tonight’. 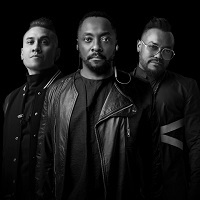 The Black Eyed Peas new album 'The Beginning' was released last Tuesday, with the first single from the album, ‘The Time (Dirty Bit)’ released last month. Although there has been no direct announcement as of yet, the band are expected to reveal plans for an extensive UK tour in the near future. Black Eyed Peas and Nas have teamed up for a collaborative single. Nadia Rose will join Black Eyed Peas for the UK leg of their Masters of the Sun tour this autumn. Black Eyed Peas have unveiled two moving videos for their new song, Big Love.